Featuring replicas of some of the world’s greatest golf holes from 23 courses in six countries, the 27-hole World Tour Golf Resort is an absolute heaven for golfers. And the decidedly upscale 2 and 3-bedroom World Tour Grande Villas are some of the best values to be found in Myrtle Beach real estate. 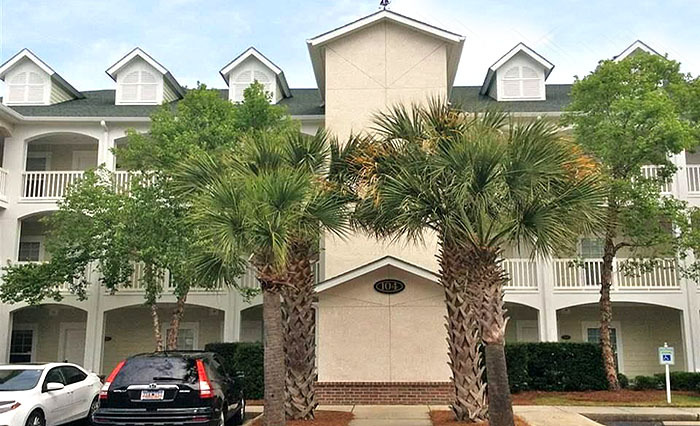 Amenities that come with purchasing one of these superb Myrtle Beach condos include a great outdoor pool, fitness center, and a clubhouse with restaurant and pro-shop. Condos come with full kitchens and convenient access to nearby attractions including Myrtle Waves Waterpark, Broadway at the Beach, Ripley’s Aquarium, and the new Myrtle Beach Boardwalk. Myrtle Beach golf course condos represent some of the finest permanent residence condominiums in the Grand Strand. Lifestyles are relaxed, traffic is "out there", and scenic landscapes please the senses in every direction. Retirees and families alike will enjoy this community. See the available units for sale below and call us if you are interested in seeing some of them.